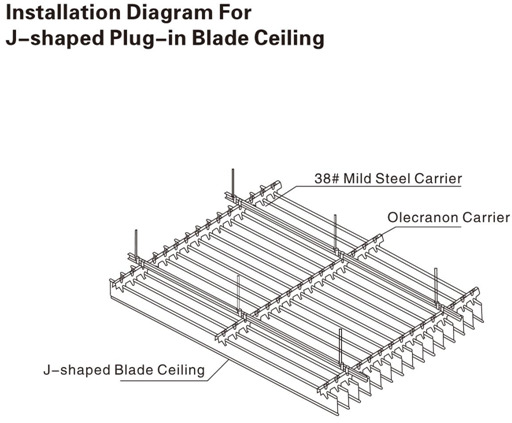 J - shaped Plug - in Blade Ceiling owns environment protection & fireproof characteristics. It’s suitable as suspended ceilings, partitions, rails and etc. Simple structure, convenient installation, tridimensional combination makes it more unique..
It’s widely used on industrial and civil buildings, office buildings, railway station, airport, big clubs, airport, hotel, residential ceiling, building decorative material market, subway, interior partitions, suspended ceiling, bus station, museum, opera house, exhibition hall, shopping centre, conference hall, bar and etc. 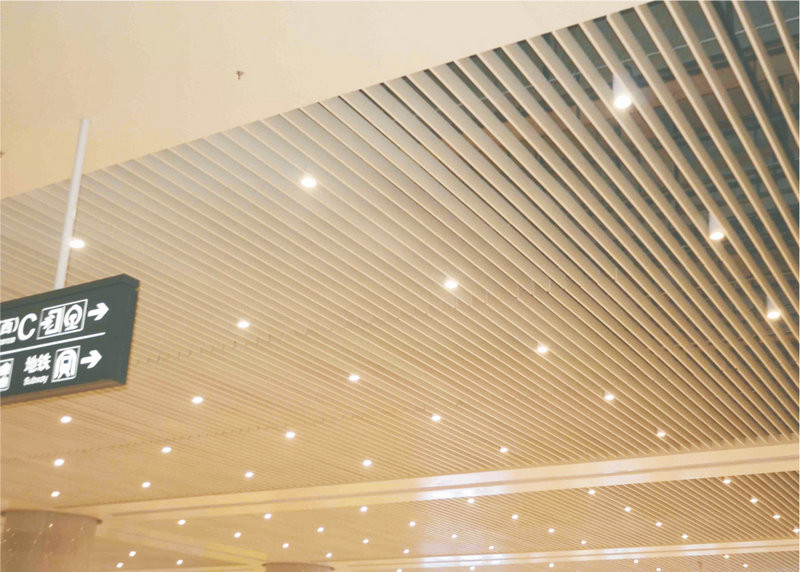 As a kind of decorative screen ceiling, J - shaped Plug - in Blade Ceiling adjusts indoor visual height, and softens the sunshine in or lamplight. It’s fabricated from aluminum strip and carrier, easy for installation. At the interval of every two strips can hide pipelines for hydrant, electric wire, or other devices. It’s applied building decorative material market, airport, subway station and other big places. Custom colors are available.